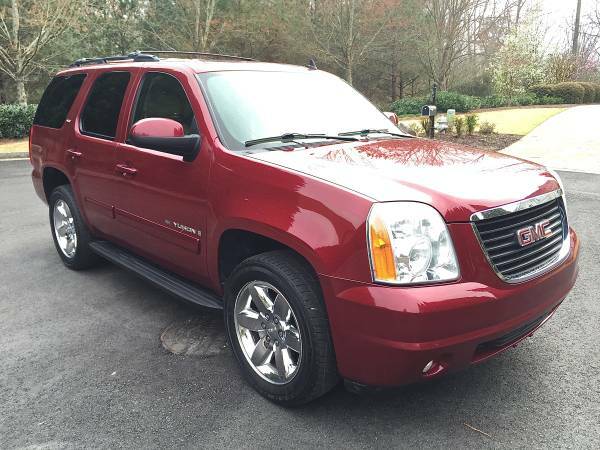 Year: 2009 Make: GMC Model: Yukon Mileage: 37,000 Engine: 8 Cylinder Fuel Type: Gas Exterior Color: Red Interior Color: Tan Body Style: SUV Transmission: 2WD I am asking $25,950 CA$H o.b.o. (NO Low Ballers Please. . .Thanks). It has a clean CarFax which we have a copy of or you can run your own. We have a current emissions & clear title in hand. On a scale of 1-10 I would give the inside & exterior a 9.5. Looks & drives great, Must see, Never seen snow, Non-smoker, Perfect Family car, Seats like new, Title in hand, Very clean interior, Well maintained.